How do you secure critical data and IP when users expect to access data, including Controlled Unclassified Information (CUI), from anywhere—and from any type of device? In this new era of digital transformation, it is imperative for the Federal Government to modernize its data security approach. This calls for agencies to rethink traditional cybersecurity—to better protect their data while still providing employees with access to the data they need. Adopting an effective data security solution helps agency employees cut through the noise, providing intelligent context based on user behavior analytics to respond to risk dynamically. 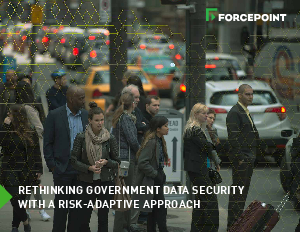 Read this eBook to understand how taking a human-centric, risk-adaptive approach to data security will transform your data protection program.